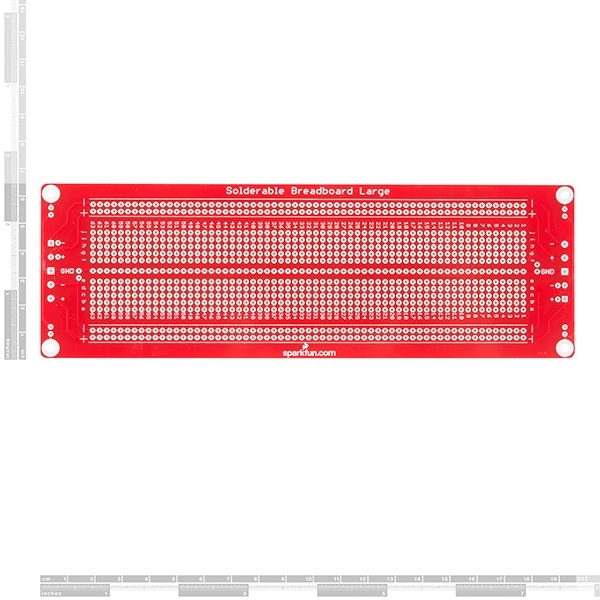 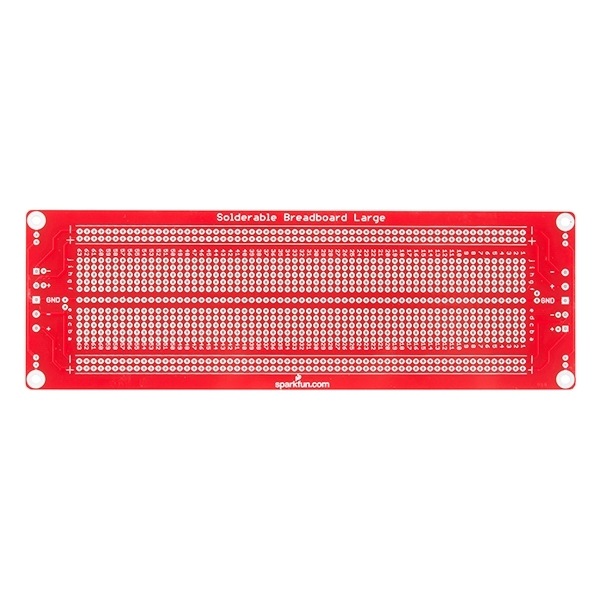 This is the Large Solder-able Breadboard. 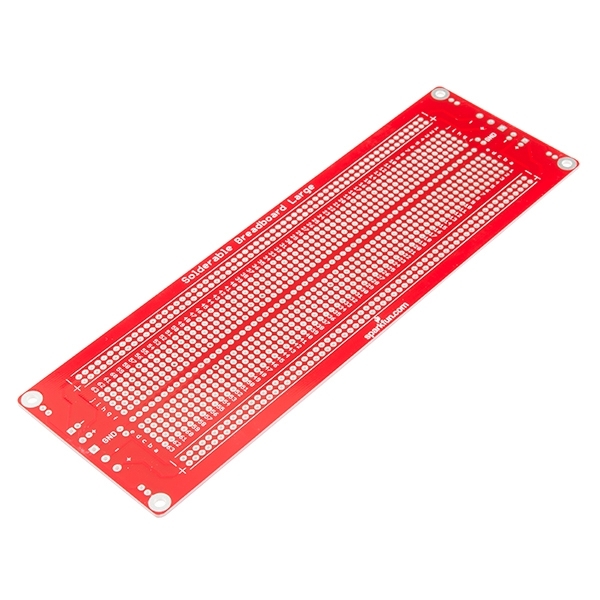 A bare PCB that is the exact size as our full-size breadboard with the same connections to pins and power rails. 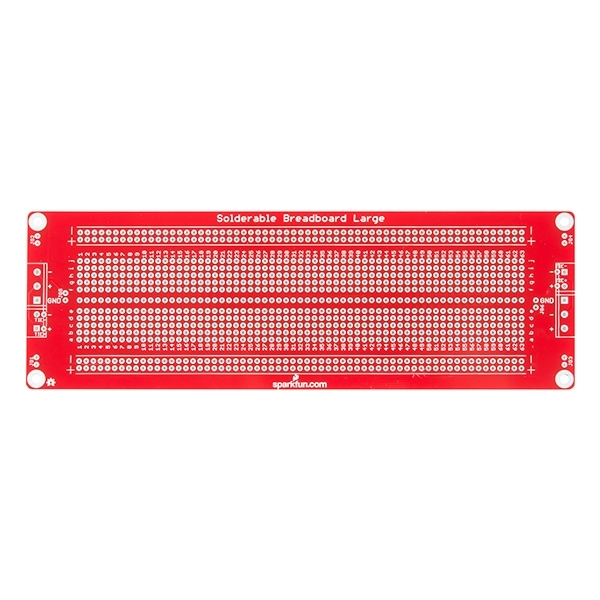 This board is especially useful for preserving a prototype or experiment you just created on a solderless breadboard by soldering all the pieces in place.